Residents and visitors to Selsey are being advised that a short section of the sea wall will be closed while the surface water outfall is replaced. The stretch between the public slipway and Honest Bills will be closed. Work will start in late October and will last for up to seven weeks. The original surface water outfall was installed by Chichester District Council in 1948, but is now at the end of its useful life. An upgrade is vital as there have been a number of blockages over the past five years which have resulted in surface water flooding of the car park. Members of the public will be able to pass the closed section by walking behind the sea wall. Access to the public slipway and to the beach at Honest Bills will remain open for the duration of the works. Engineers have said that flows from the outfall will be maintained throughout the works so there will be no impact on the existing drainage network. 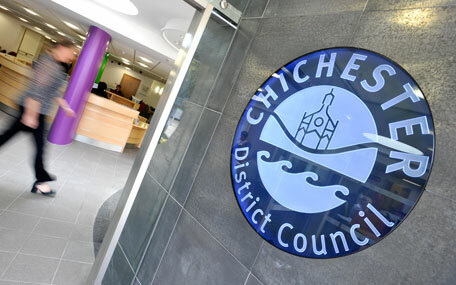 Councillor John Connor, Cabinet Member for Environment at Chichester District Council, says: "Although we have made every attempt to minimise the impact of this work on the public, this section does need to be closed while the work takes place. "This outfall desperately needs to be replaced in order to help protect properties for the future. "We want to give people as much warning of this work as possible and we would like to thank the public in advance for their patience while this important work takes place." The work is being carried out by Earlcoate Construction and has been organised by Chichester District Council's coastal engineers as part of the council's flood management responsibilities for this area of coastline. Residents with any queries should call 01243 534689.